This is good to know, because all this time when I was running 10-something paces for ten or more miles on the Bethpage trail, I thought I was actually running. But what about those race-walkers that reach paces in the 6:00/mile range? Very confusing. Technically, I believe it is considered running when both feet leave the ground, versus walking, where one foot always remains on the ground. I know this commenter was just being sarcastic (if a little mean). Perhaps he/she can clear up some other questions for me, such as, "What's the official difference between rapping and singing?" 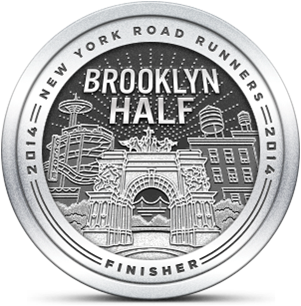 In the meantime, I'm declaring anyone who calls themselves a runner to be one. And no matter what speed they actually run, it's still running. Hmm. I wonder if the person who left that troll-like comment is a 'runner'. But with an attitude like that, who really cares? Rapping is not singing. That does not minimize it's artistic value, it's just different. Walking is not running. However, you're still exercising and probably doing your bones a favor by doing the former on a regular basis. I'm a treadmill runner which I've been told isn't running either. Are both feet ever in the air at the same time? Then you're a runner, despite your speed. It's a pretty safe bet that someone who disparages people based on how fast they run or whether they run on treadmills rather than pavement has some big insecurities to address. Well, crap. Apparently I'm not a runner after all. Oh well. Guess I'll just keep on .... whatever I'm doing. It sure as heck isn't walking! I walk every day to work, and measure my avg speed using a Garmin watch. 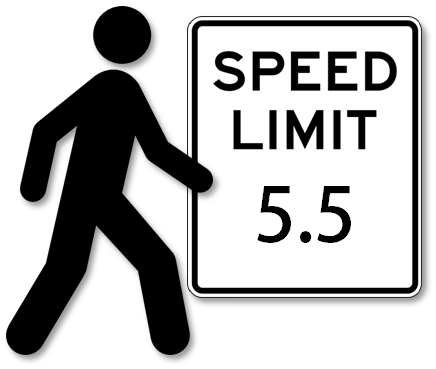 It is usually 5.5 km/h. km/h is used in Europe, while I guess in the US you would use mi/h. So in your units 5.5 mi/h is my walking speed. That's why I said that moving at this speed is called walking. You're equating Km/hr to Miles/hr? Okay, now I know you're kidding. At least I HOPE you're kidding. She's saying she walks about 3+ miles per hour.